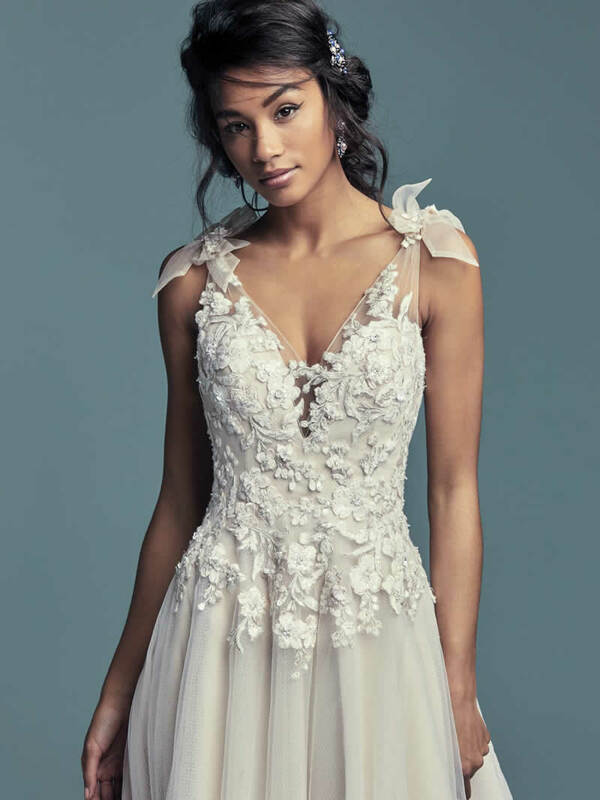 Delicate lace motifs accent the bodice in this boho wedding dress, creating sheer cap-sleeves, an illusion V-neckline, and a sheer V-back. Swarovski crystals adorn the bodice and belt motif. A-line skirt comprised of tulle.